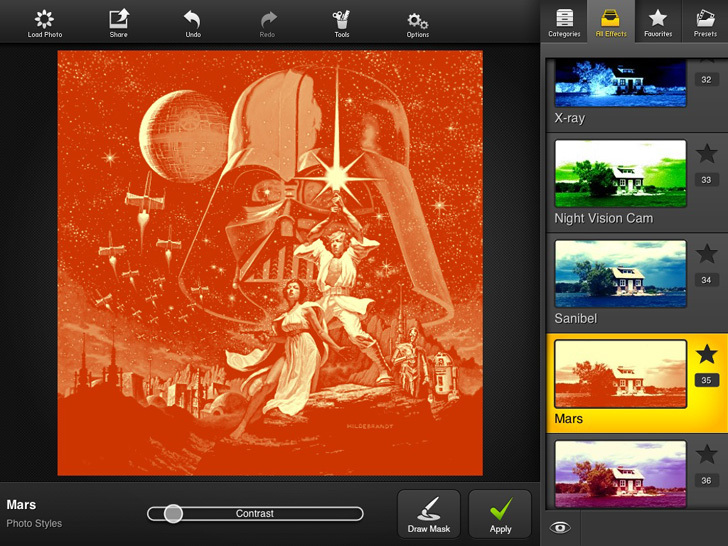 There are many photo editing apps out there and few are impressive. Fortunately the development team at MacPhun LLC know how to create a 5 star application, thus I give you FX Photo Studio! It's a brilliantly developed, in depth editing tool that allows you to take your images to another level. Endless customizations, additions, effects, you name it are at your fingertips! Two minutes turned quickly into twenty as I browsed through only a handful of options this program offers. If you're into photography or just want to create a unique image, you'll enjoy this one!